A funny thing happens, from time to time, when I'm trying to find a good folklore photo. 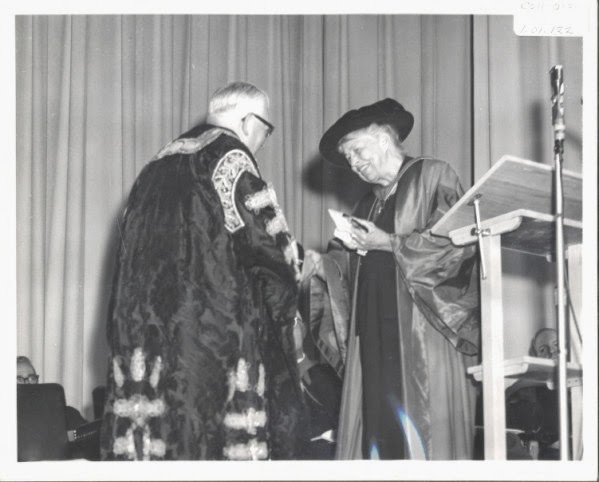 I'll start out looking for a nice archival photograph of flowers, to brighten your RDF filled afternoon, and then I end up writing about Elanor Roosevelt, isn't it just the way? 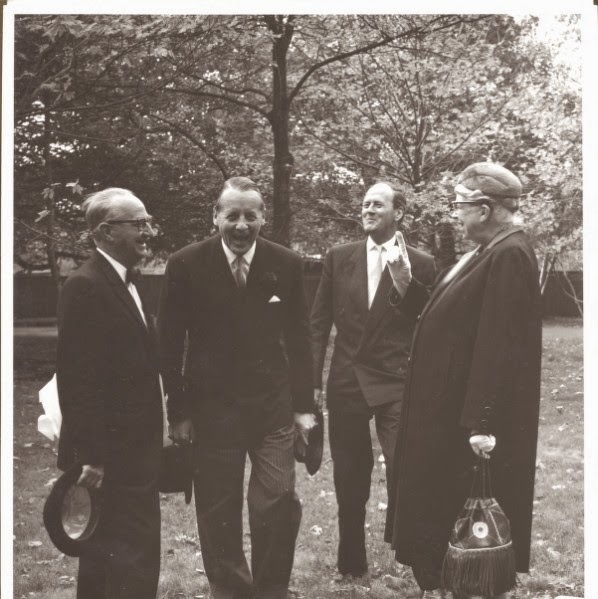 "Mr. Roosevelt being presented with flowers"
Archives and Special Collections Division. 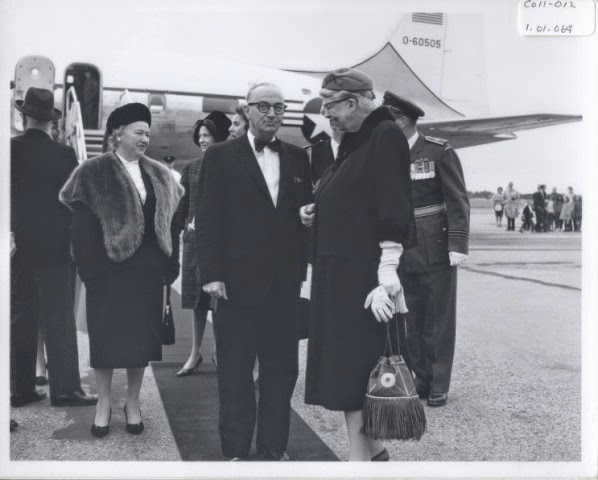 "Premier Smallwood, Lieutenant Governor MacPherson and Eleanor Roosevelt"
On October 9th, 1961, Mrs. Eleanor Roosevelt, the widow of President Franklin Delano Roosevelt, and an accomplished individual in her own right, attended the opening of the new campus of Memorial University of Newfoundland. 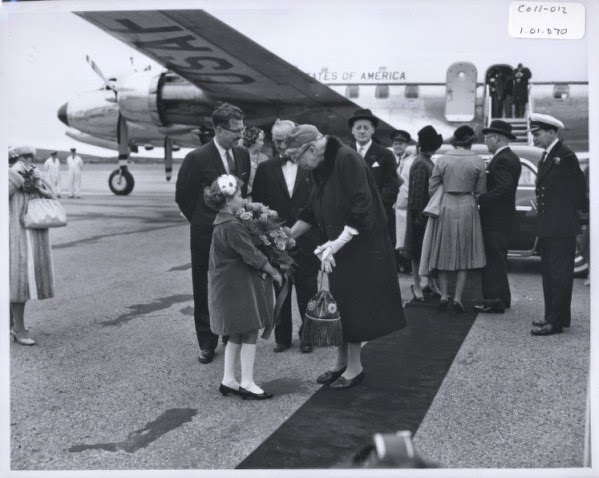 For more information about Eleanor Roosevelt's visit to Newfoundland, visit the collection on the Memorial University of Newfoundland Digital Archives Initiative.